NASA’s trusted mitigation approach to problems with their complex hardware has again paid dividends, with efforts to reduce foam liberation from their External Tanks (ETs) rewarded by photography of Atlantis’ ET-136 showing a near-pristine tank. An ongoing FD3 has seen Atlantis dock with the ISS at 9:28am Central, following a somewhat interrupted opening inspection of her TPS (Thermal Protection System) on FD2. “Taking the bird out of the barn for a few more trips around the planet,” Commander Kenn Ham thanked the Orbiter Project Office (OPO) for the late clearance of the final IPR (Interim Problem Report) that had threatened to be a constraint for coming out of the T-9 minute hold. “During the closeout inspection prior to the final closing of the Payload Bay Doors (PLB) a ball bearing was found lying on a 1307 bulkhead blanket. The bearing was approximately 0.125 in. in diameter and weighed less than a tenth of a gram. No source was identified,” noted a Mission Evaluation Room (MER) outline on L2. 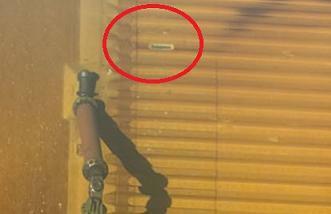 “Approximately 2 hr before launch, a pip pin used to hold one of 4 payload bay cameras to the shelf was identified as a possible source. 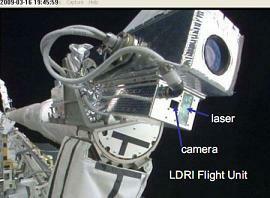 There are 3 pins on each of the 2 aft cameras and 4 pins on each of the 2 forward cameras. A review of the failure history, installation verification, and design tolerances was performed to determine the likelihood of one of these pins losing a ball bearing. With no other issues of note, Atlantis launched at the first attempt – marked at 134/18:20:08.991 GMT, with preliminary reports noting a flawless ascent, although there is an investigation of numerous “strange” observations from the SSME (Space Shuttle Main Engine) plumes during first stage – potentially caused by lighting conditions. Notably, the SSMEs performed without issue, as did all the propulsion systems. “No problems or issues were noted during the ascent phase,” listed the official MER report. “The Reusable Solid Rocket Booster (RSRB) shutdown occurred at 134/18:22:09 GMT [00/00:02:06 Mission Elapsed Time (MET)] and the separation was visible. “A nominal Orbital Maneuvering System (OMS) assist maneuver was performed following SRB separation. Ignition occurred at 134/18:22:24.3 GMT (00/00:02:16 MET, and the maneuver was 90.2 sec in duration. MECO occurred at 134/18:28:34 GMT (00/00:08:32 MET). 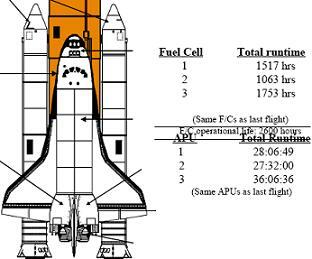 Only one minor issue was recorded by MER during powered flight, which cleared prior to MECO (Main Engine Cut Off). Atlantis was successfully placed into her desired orbit, followed by the opening of the Payload Bay Doors and deployment of the Ku Band Antenna – which is working without issue. “Thirty seconds prior to the launch, a Multifunction Display Unit (MDU) in Cathode Ray Tube (CRT) 1 slot reported a CRT 1 Built-In Test Equipment (BITE) Fail” with a detailed error of “Luminance Control Loop Fail”. The error cleared 7 min 51 sec later. “The error repeated two additional times. Setting the brightness to the maximum condition can cause the error as backlight bulb luminance output reduces due to unit age. In this case, the error will clear once the MDU brightness is manually decreased by the user. 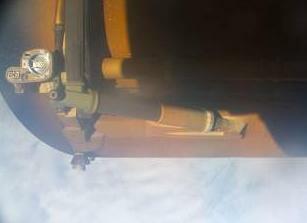 Prior to the maneuver, hi resolution photography was taken of the jettisoned External Tank (ET-136), in order for imagery to be sent down to the ground to the Damage Assessment Team (DAT). Evaluations of the imagery allow for areas of foam loss to be potentially matched to debris events observed by several other ascent recording assets. Photography from both the Umbilical Well camera located on the orbiter, and a handheld camera from the flight deck, captured the condition of the tank as it fell away from the orbiter, exposing the condition of its TPS foam. Both sets of hi res photography was acquired by L2 on Sunday, showing the tank only lost foam from around two obvious areas to untrained eyes, while some other areas showed small signs of popcorning – which is completely normal. One area of foam loss can be seen on the outside of one of the LH2 Ice Frost Ramps (IFR) and would be – even if it released in one piece – of a very small mass and thus no concern at all, even if it managed to impact the orbiter during the period of dangerous aerodynamic transport (prior to SRB sep). A second area of liberation can be seen from the Z (top) side of the intertank, close to the left side bipod ramp, while the -Z (bottom) side appears to be mainly intact, bar some cosmetic pitting/popcorning – again usual. Importantly, with only the single obvious area of intertank foam loss – should the positive observations be confirmed by experts – it would mark the second tank in row to prove the mitigation procedures that had been put into effect, following a number of flights that saw numerous losses from this area of the tank. STS-131 flew with the first tank (ET-135) to fly with new production procedures at the Michoud Assembly Facility (MAF) – relating to the manufacture process prior to foam application – which eliminated the potential for dust to remain on the structure, reducing the adhesive properties and causing the foam to shed off during ascent. With STS-132’s ET-136 also showing the benefits of the change, managers can be assured this issue has been solved, adding a further feather to their cap on what has been a very impressive long-term effort to reduce foam loss from the tanks since Return To Flight. The crew awoke on FD2 with only a printer issue to work through – as opposed to any problems with their multi-billion dollar orbiter – prior to getting into the main task of inspections via the use of the Orbiter Boom Sensor System (OBSS) boom, mated to the Shuttle arm. “The SRMS On-Orbit Initialization was completed at 134/21:20 GMT [00/03:00 Mission Elapsed Time (MET)]. The SRMS power-on was completed at 134/21:42 GMT (00/03:22 MET). SRMS checkout was completed at 134/22:48 GMT (00/04:28 MET),” added another MER Status report (L2). After a brief survey of the payload bay, the SRMS was returned to the Pre-Cradle Position at 134/23:02 GMT (00/04:42 MET). All SRMS activities were nominal. “The OMS-4 NC2 maneuver was a dual-engine straight-feed OMS firing that occurred at 135/11:33:02.7 GMT (00/17:12:53.7 MET). The firing time was 10.4 7 sec/7.9 ft/sec. The resulting orbit was 109.5 by 126.6 nmi. Engine performance was nominal.” NC-3 was also a nominal burn late in the flight day. The survey of Atlantis’ RCC and upper level TPS proved to be troublesome, due to a cable catching and obstructing the range of the OBSS’ Laser Dynamic Range Imager (LDRI) attached to the Pan/Tilt Unit – notably with the tilt movement. “The SRMS maneuver for OBSS grapple started at 135/11:48 GMT (00/17:28 MET), with grapple completed at 135/11:52 GMT (00/17:32 MET). The Starboard RCC survey began with the Flat Field Survey at 135/13:18 GMT (00/18:48 MET). However, issues with the pan and tilt unit were interfering with the pointing of the camera,” noted MER information. 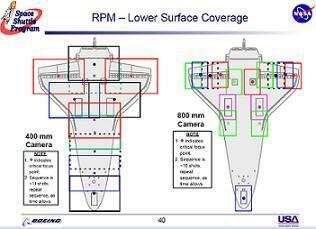 The reference to the docked EE inspection relates to the currently favored plan of finalizing missing coverage from the Port Wing survey by using the End Effector (EE) camera on the end of the SRMS to take high resolution imagery of the RCC. Combined with data gained from the FD2 inspections, DAT engineers may also be aided by additional imagery taken from the ISS during Rendezvous. With no requirement for a Debris Avoidance Manuever (DAM) on the ISS – after a debris threat was tracked to the point it was confirmed it would not breach the 10km conjunction box – a nominal approach to the orbital outpost was conducted on Flight Day 3. Closing in on the ISS via several burns – including the TI (Terminal Initiation) burn – Atlantis and her crew arrived below the ISS for the initiation of the R-bar Pitch Maneuver (RPM) – at around 8:26am Central time on Sunday morning. Due to the issues with the FD2 inspections, the Mission Management Team (MMT) adopted a plan to add two additional ISS crewmembers – armed with an 800mm camera – to increase the amount of imagery taken of the orbiter, ensuring DAT engineers have as much data to hand as is possible. Plans are also being worked to see if the STS-132 spacewalkers can add a task of manually freeing the obstructing cable from the PTU, as planning starts to pick up on a solution to the Late Inspections, after undocking. An overview of those plans has been acquired and will be written up in an upcoming article. Atlantis docked with the ISS at 9:27am Central time, following a flawless approach. The MER aren’t working any issues with Atlantis’ primary systems, all of which have been showing nominal performance during this early phase of what may be her final time on orbit. “All APU (Auxiliary Power Unit) ascent soakback and on-orbit parameters are nominal. All APU heaters are functioning nominally on the ‘A’ string. APU 1,2,3 Fuel Pump Drain Line Pressure #1 were TMBU’d from 25 to 40 psia at 134/17:21:00 GMT, approximately an hour prior to APU ascent start, to preclude nuisance alarms,” noted a few highlights from the expansive shift reports (L2). “The first on-orbit fuel cell purge was a manual purge beginning at 135:14:35 GMT. Cryo O2 Heater Current Sensor Check was performed at 135:14:25 GMT and results were nominal. 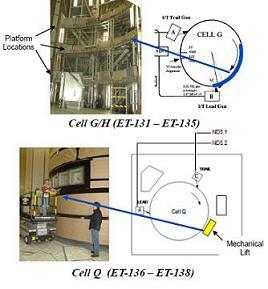 The Fuel Cell Monitoring System (FCMS) Data Take was performed. Results were nominal, with no outliers. There is no longer any evidence of the pre-launch pin sharing observed on FC3 (Fuel Cell 3) pins 90 & 91. As one engineer working on the mission noted after his shift – “it’s almost like Atlantis knows this is her swansong, and she doesn’t want her final mission to be blotted by IFAs (In Flight Anomalies).” Further updates have been acquired, and will be summarized in upcoming articles. *Additional content, such as transcribed notes and discussion, along with free video of all key events and briefings from NASA TV, are available in the STS-132 Live Section, linked near the top of the article. All quotes and content used in this article can be found in full via the associated L2 STS-132 Special Section (MMT level coverage).